Continuing on our monthly journey through hair color in anime, this edition isn’t actually a color, it’s a hair style (or lifestyle!) – the pompadour. It’s slick, stylish, and, at times, unwieldy. However, it is a symbol of both manly values and a rebellious thuggish nature. 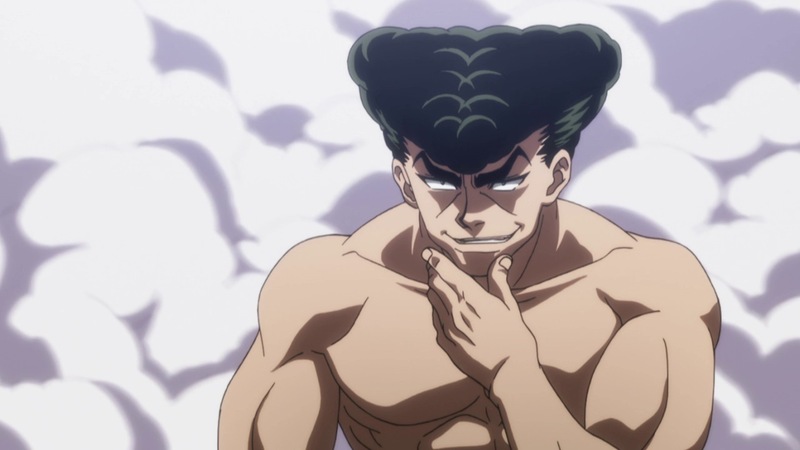 If you spot a pompadour in anime, you know they are a guy that doesn’t attend classes and calls no man master! The pompadour many have formally been created by Madame de Pompadour, the mistress of King Louis XV of France, however most people know it from its popularity from 50’s era Americana. Made popular by Rockability bad boys like Elvis, the pompadour remains the most…unique American import to Japan post-WWII when Americans were dismantling the Japanese war machine and helping to rebuild it in various ways after the ravages of war. Yet, while the pompadour was popular among Japan’s manly culture, by the 1960’s it became something different as traditional Japanese values began to resurface and political changes led to a crackdown on this particular style of hair. However, for every good beat down by high morals there also comes a counter culture of rebels that refuse – thus the pompadour became a symbol of the rebel. Now known to be worn only by young thugs, biker gangs, and Yakuza (who now also often shun the pompadour as they aim towards a more clean-cut image to blend into the hordes of Japanese salarymen), if there is one way to make Generic Thug A in an anime look like they are a delinquent without giving them lines, you slap a pompadour on it. 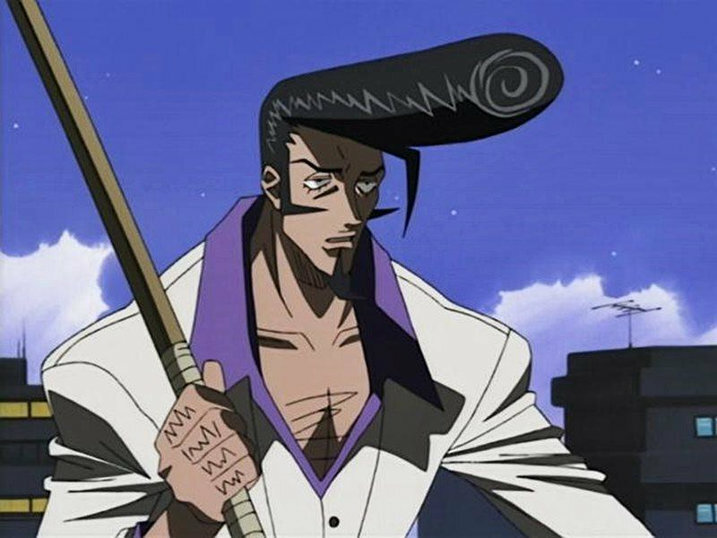 However, while pompadours are often seen on the nameless thug in anime, there are a few more important characters that sport it. Even main characters have been known to get that hair height as well. So who are our top pompadours? We kick off our list with Pinion, whose hair is not quite as extreme as some pompadours, but fits the bill. Considering he is also blonde, another symbol of Japanese rebellion, his character model itself says tough and manly. However, with the setting being the post-apocalypse, it isn’t like Pinion identities as Japanese since the cultures aboard the boat have likely blended beyond nationality for generations. Still, it’s good to see the slick hair style survived, right? Kaiser is kind of like the antithesis to the pompadour. He’s manly, for certain, but he as noble and honorable as his knight heritage. Yet, as a bounty hunter, the nobility immediately look at him as scum as well, making him a unique blend of rebel and hero. You could actually do an interesting character study on Kaiser based on his choice of hair style and its symbolism to Japanese culture. All of Shinichiro Wantanbe’s main characters are rebels to some degree. Spike, Mugen, and, indeed, Dandy live on the fringe of the culture in their designated universes. 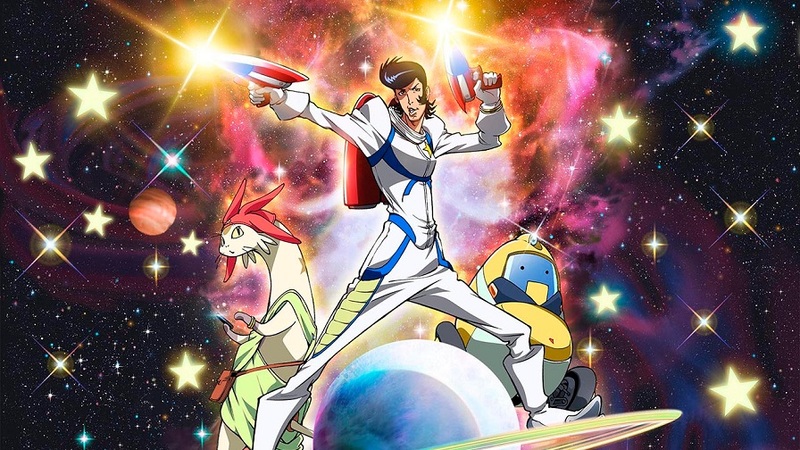 However, Dandy is the only one to sport the pompadour. Considering he is the man whose character is built around being lucky, sleazy, and strangely debonair, the hair style works for him. 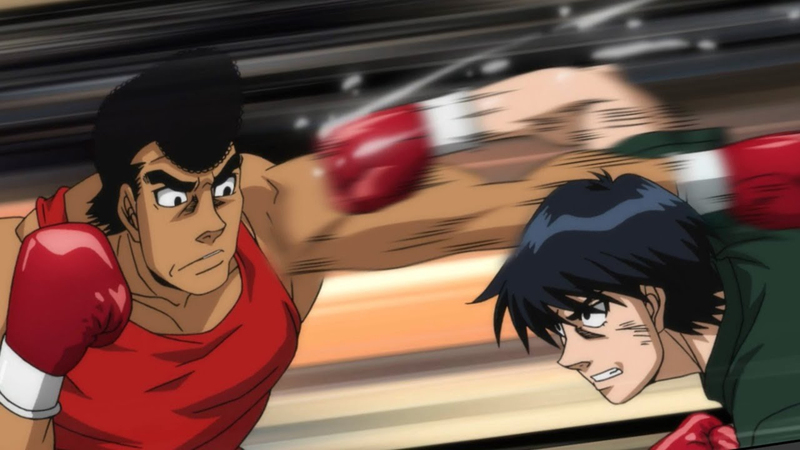 In Hajime no Ippo, Takamura tells a classic boxing story not unlike another boxing anime, Ashita no Joe. He grew up as a delinquent, adopting the pompadour early. However, he was set down the right path after meeting the right teacher who set him to professional fighting instead of a life of crime. While every win makes him just that much cockier, his manly spirit and passion carry him through all challenges. One Punch Man is filled with clichés and cliché-breakers. However, Metal Bat is one of those clichés. He is essentially the world’s most powerful thug, beating down baddies with a metal bat, a coat draped over his shoulder, and a perfectly groomed pompadour – all symbols of the young school thug. Of course, the difference is that he protects people instead of shaking innocents down for quick cash. 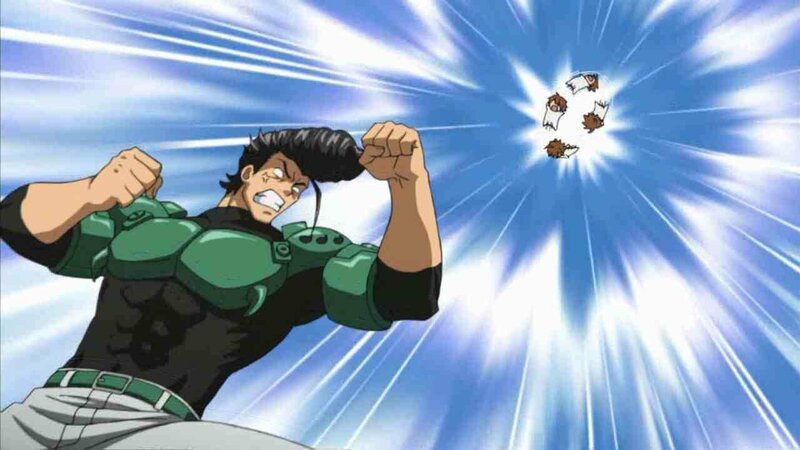 As a powerful hunter and because of his outward appearance, you would expect Knuckle to be tough. While he’s someone you don’t want to pick a fight with, his true nature is a gentle one. Beloved by animals, he’s a man that it prone to easy tears despite the tough veneer. 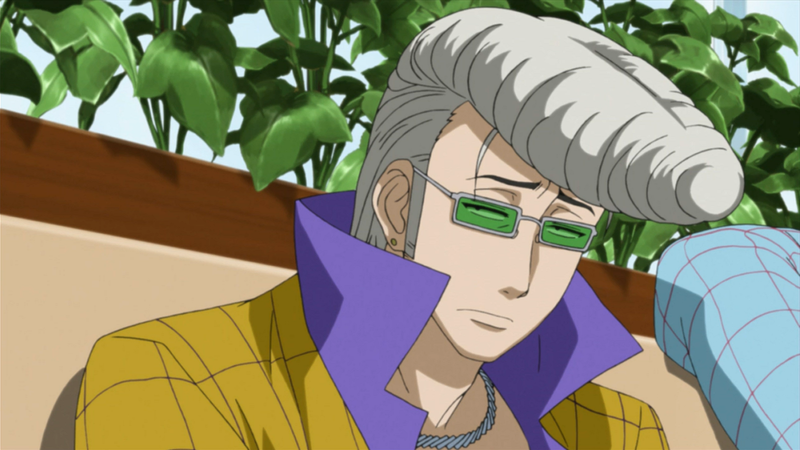 However, like many pompadour characters, he is the type of dependable guy that would take a bullet for his friends. The main cast of Yu Yu Hakusho is made up of misfits. Yusuke himself is a thug and Kuwabara was introduced as his rival and eventual friend. 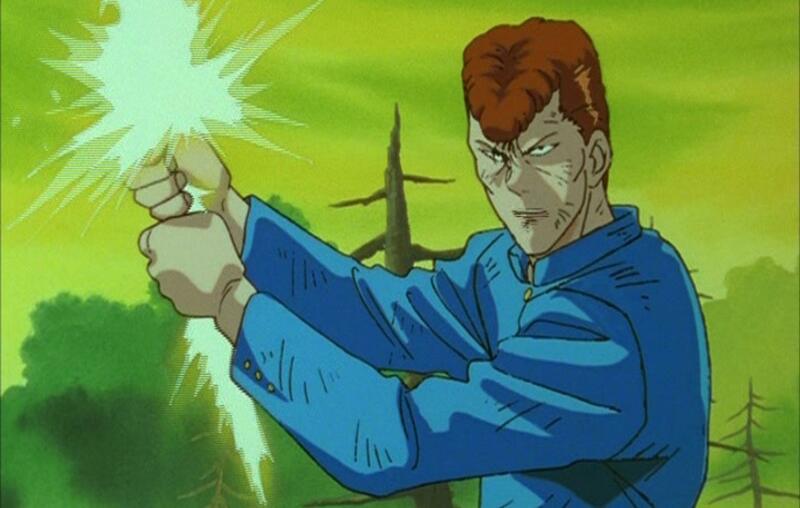 True to the pompadour meta, Kuwabara is tough as nails and not always particularly smart. However, this brilliant red beast will fight to the end and do anything for his friends. 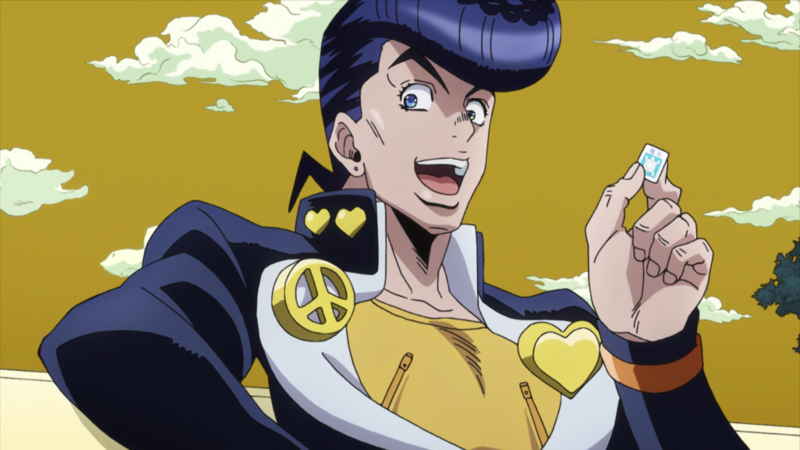 Jojo is a series that is renowned for its extremely manly character, but surprisingly there wasn’t many pompadours until it came Josuke’s turn to take a stab at main characterhood. While not the first Jojo of Japanese origin, he is undoubtedly more Japanese than Jotaro. 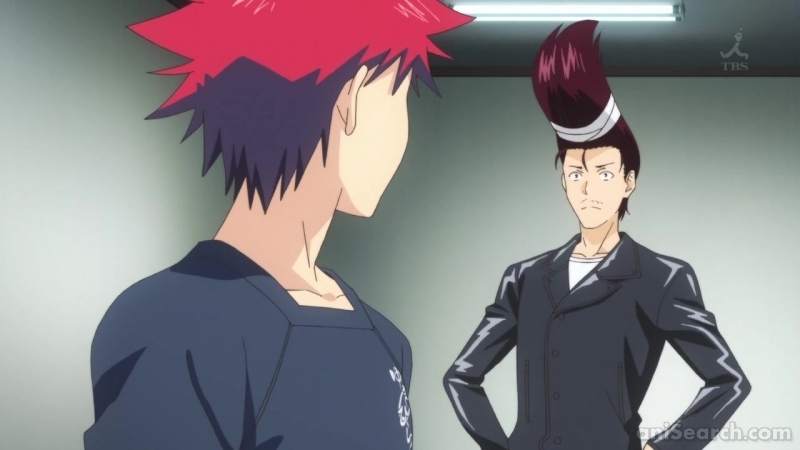 He not only sports the traditional Japanese school uniform style, but his pride and joy is that magnificent pompadour that he adopted after an unknown pompadour-bearing man saved his life as a child. While he frequently primps his hair, that doesn’t mean he isn’t bursting with passion and a burning manly desire to protect everything important to him (including his hair, of course). 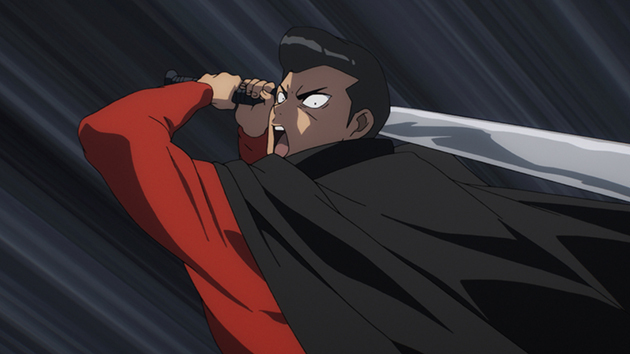 You would be forgiven for confusing Mondo with the aforementioned Kuwabara from Yu Yu Hakusho. They are incredibly similar in not just design, but personality. Mondo is tough and not incredibly bright, but he is fiercely loyal to his friends. You see him bond with a specific character in a way that can only be describe as a true bromance. 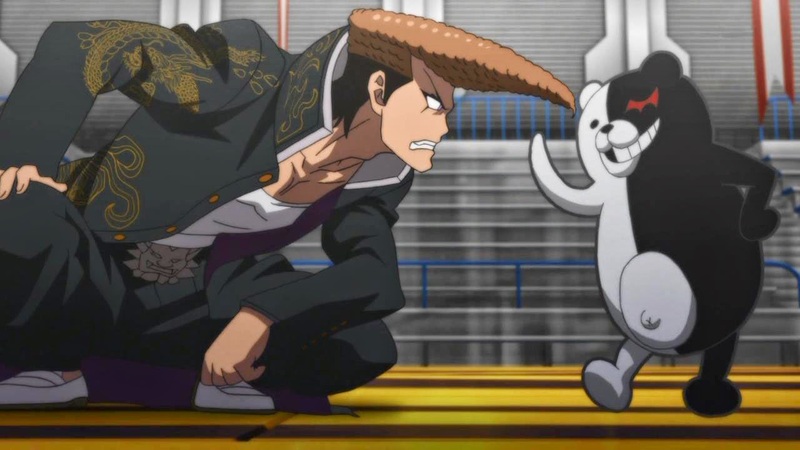 Unfortunately, toughness in Danganronpa doesn’t go very far, nor does having a unique hair style in a sea of unique hair styles. Of all the pompadours on this list, you will find no man more dedicated to his. Even Josuke and his constant primping are no match for Konishi, the president of the Donburi Research Club, who had his pompadour cut off and reattached it with tape. Yes, it won’t ever re-attach, but he would rather have it taped on rather than dare have a short pompadour. In a sea of unique characters in One Piece, Franky and his pompadour stand out. He has the best hair style of the crew, if not everyone, as well as the best forearms. 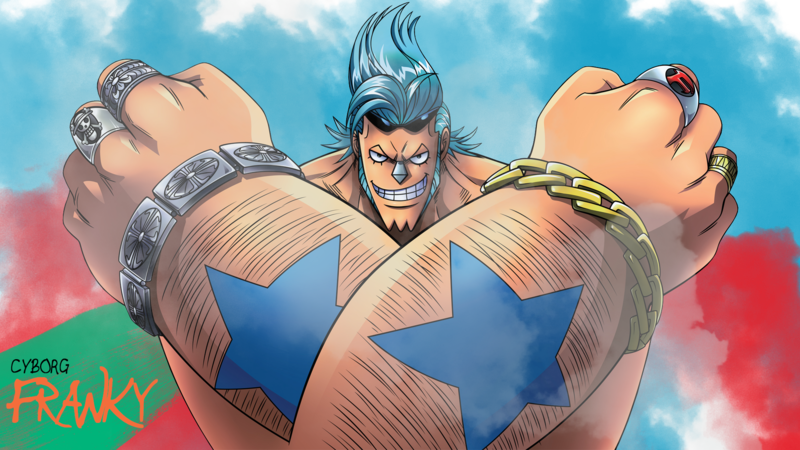 However, if you are going to design a cyborg like Franky, he mind as well have awesome hair and forearms with superhuman strength. Interesting side note, Franky also dons the Hawaiian shirt, which is another traditional style choice of Japanese pompadour-sporting thugs. At the start of Beelzebub Tatsuya is a major enemy for the crew. However, true to shounen form, he was thwarted and slowly he began to become friends with the main character. 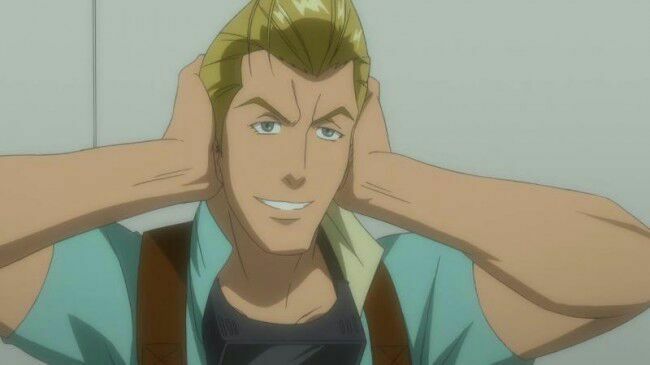 While Tatsuya has a great pompadour, the Hawaiian shirt, the sun glasses, and even the blonde hair – all traditional symbols of Japanese thugs – he actually doesn’t have a lot of toughness to back it up. He is manly to be sure, but he is more the type to use his extensive wealth to hire his muscle. Bulat departs from a lot of traditional pompadour tropes. He is manly, for certain, and passionate as well as compassionate. However, he also has a particular attraction to men. While the pompadour symbolizes a distinct manliness and penchant for brotherhood, very few creators have ever dared to delve into that territory like they did with Bulat. Ryu is the stereotypical thug of Shaman King. 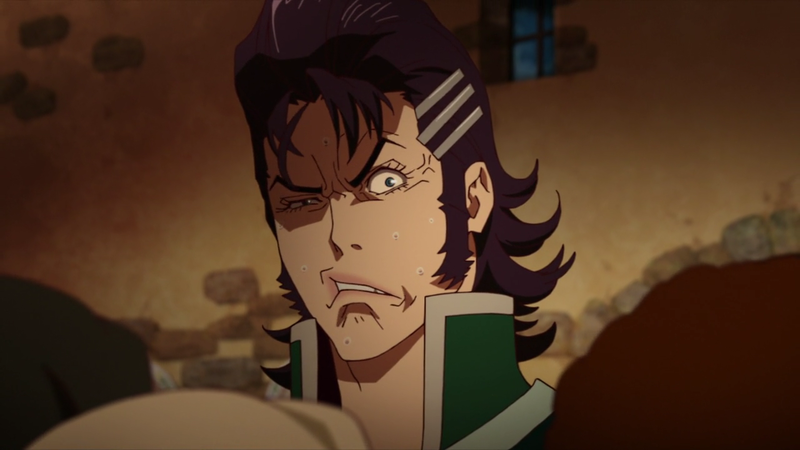 As is often the case with many of the characters in the show, his design is done to the extreme. Extremely old school Yakuza suit, extremely “thug with a heart of gold” personality, and yes, an extreme pompadour. Large and in charge, his hair dominates every scene. Ready for the most epic of all pompadours? 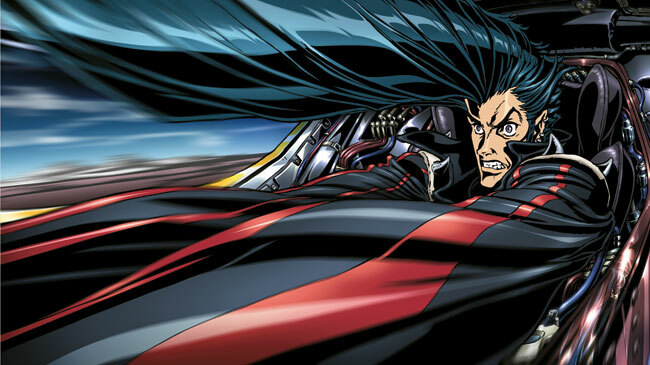 There can be no question that it comes in the form of the main character from the legendary Redline movie. He’s a daredevil driver and a hit with the ladies to boot, so naturally he needs a true rebel’s hair style. His pompadour is so lengthy that often it appears fully off-screen, which lends to its mystery and magnificence. Did we miss any of your favorite pompadours? Let us know in the comments section below.